Coupon must be presented when order is written. Not valid with any other offer. Must present coupon when service is written. Not valid with any other offer. Nobody likes spending more money on replacement parts for their car, which is why we here at our Butler, PA Volkswagen dealership serving Cranberry Township, Gibsonia, Wexford and New Kensington offer these parts specials to help you save. See what we have in stock and find out what we can order for you, and we’ll make sure your Volkswagen has everything it needs for the next many miles and years on the road. From replacement parts for performance and just keeping your new Volkswagen or other kind of car running in its best shape, we offer regular specials and coupons so you can save when you need something quick. You’ll also find savings for work done at our service center, and you’ll love the expertise, efficiency and thoroughness of our auto technicians who can quickly diagnose any problems, and work with you to fix them. Beyond the kinds of parts that are required to keep your car on the road, we also have many Genuine Volkswagen Accessories available. These are great for getting ready for winter weather, as in our all-weather floor mats and ice-scraping windshield wipers, among others, or you can just find helpful items like cargo nets for all year around. Take a moment to look through all our offerings, be sure to check out what specials and coupons we have available, or simply just visit us and we’ll figure out what you need. Our service technicians can handle the installation, and our parts experts will match up the appropriate equipment with your specific model. 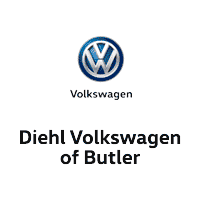 Discover how to save on parts and accessories when you shop with us at Diehl Volkswagen of Butler, here in Butler. Take the time to look through everything we have to offer, and then make your way on over here today and we’ll get you started.